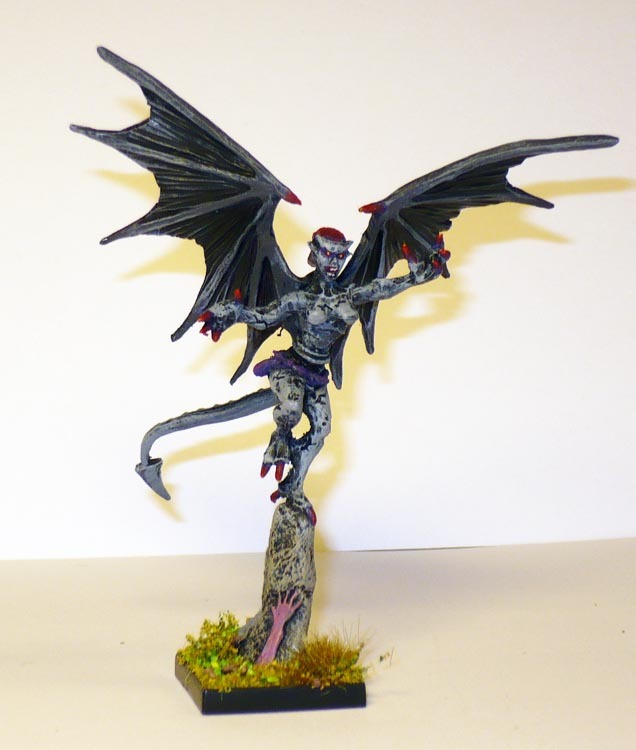 Pushing onwards with getting a few more stragglers off the shelf, today I finished the Mantic Gargoyle test piece. Here I tried a couple of things that did not work, and has been overpainted. at least twice. In the end, I opted for the classic stone colour: grey, also in the wings. 20mm mantic square base, restic. I will probably rebase it, as it keeps tipping over.